Zephyr Palace was the backdrop for Mandy & Tom’s wedding. We met last year when they came here for a tasting and to check out the venue. 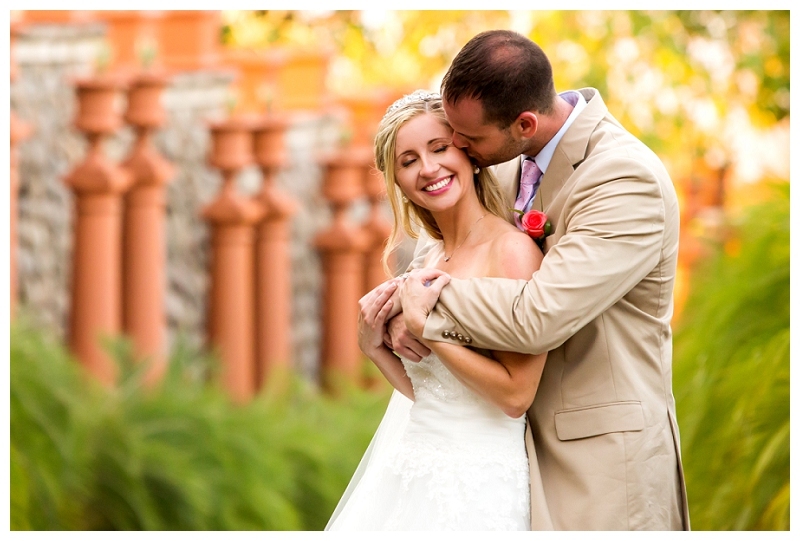 Mandy had a clear vision and it was a pleasure to work with her to bring this wedding to life. Since they rented out all the rooms at Zephyr Palace the after party by the pool went on into the wee hours of the night. Their friends and family really knew how to enjoy a wedding celebration. The decor featured blues, corals, and white. Let’s take a peek at their wedding. 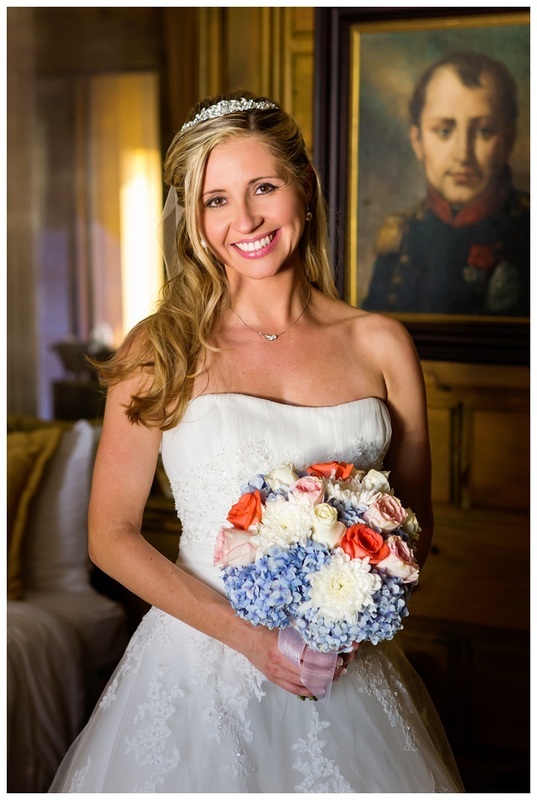 The hand tied bridal bouquet featured blue hydrangeas and roses with pops of coral, pink and white. 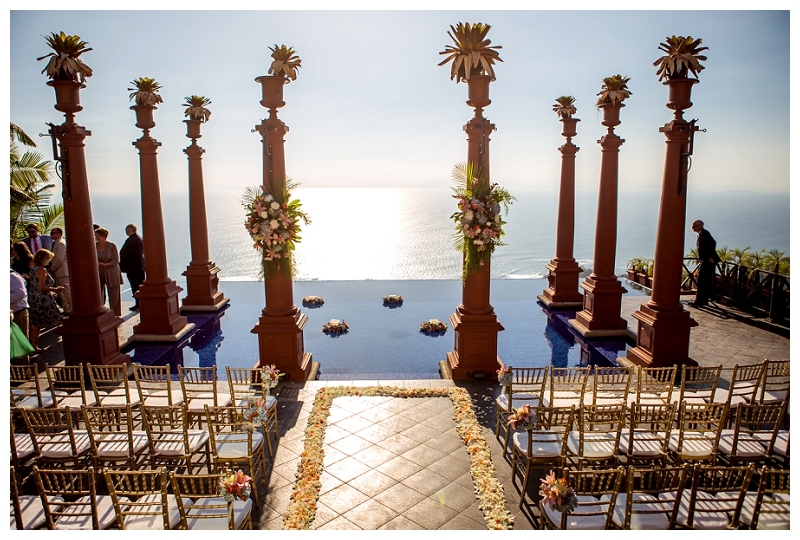 The ceremony was in front of the infinity pool. The aisle was outlined in rose petals, flowers hi-lighted the end chairs and two hanging arrangements were the focal point of the ceremony decor. Let’s look at the reception. Using round and imperial tables made the room feel cozy. 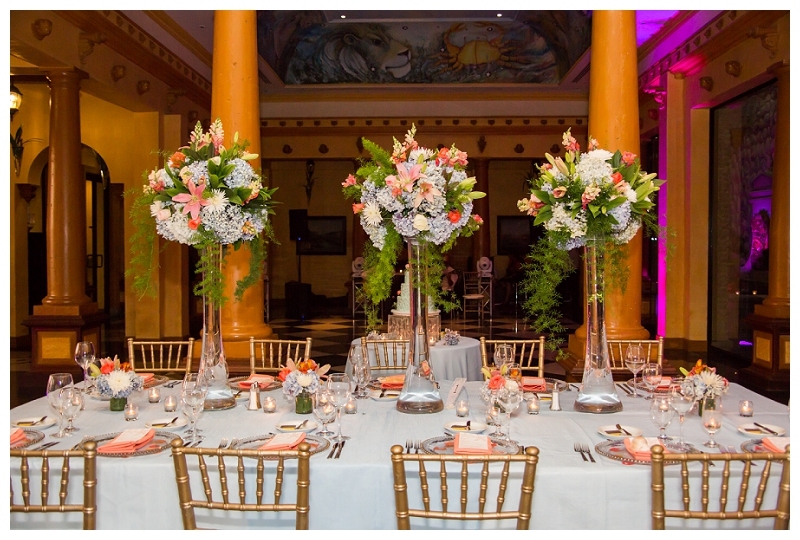 The tall arrangements were complimented with smaller flower bunches on the tables. Votives, blue overlays, chargers with rose petals and personalized menus completed the look. 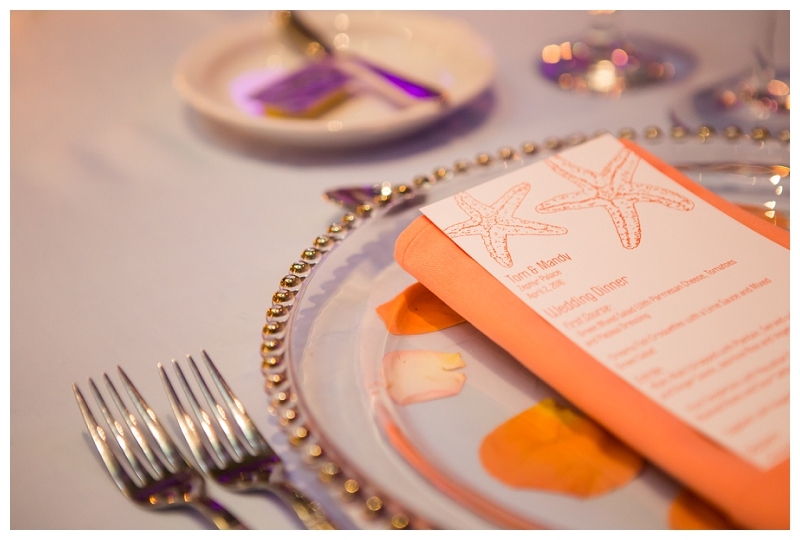 Guests found their seats looking for a sea shell with their names on the guest book table. 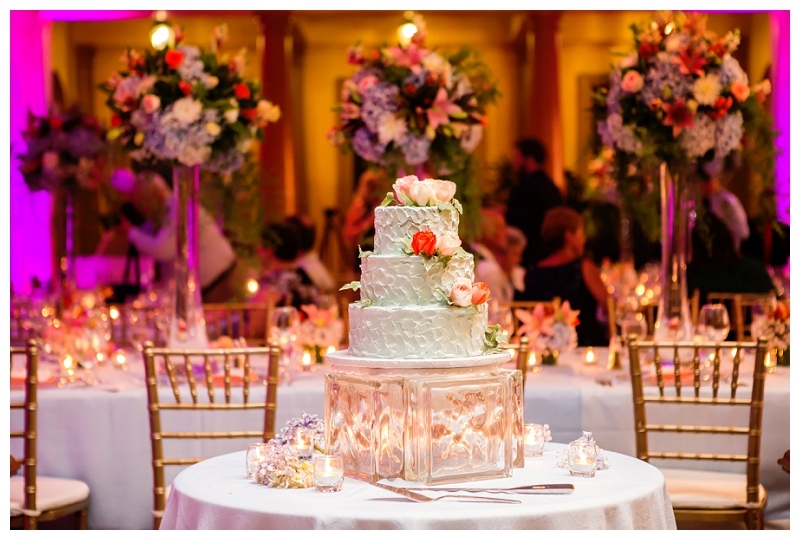 Opting for a blue tinted butter cream wedding cake with roses was the perfect dessert. There was even a cigar roller after dinner. Fireworks were the perfect ending for the night. Afterwards everyone relaxed by the pool. 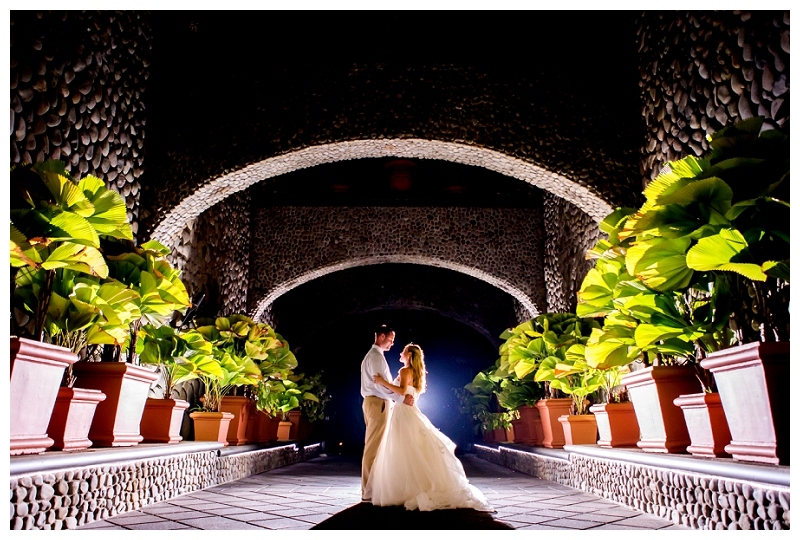 Mandy wrote a review that appeared in Trip Advisor https://www.tripadvisor.com/ShowTopic-g291982-i813-k4357945-o40-Wedding_Planner_Reviews-Costa_Rica.html#7499315446. Special thanks to Matty Baltodano for capturing this wedding in her photos. 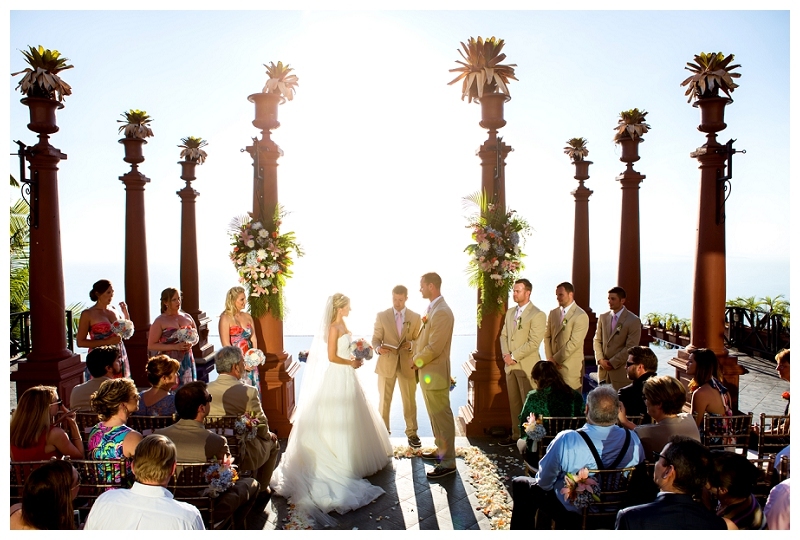 This entry was posted in Seating Cards, Villa Caletas Wedding, Wedding Cakes, Wedding Ceremony, Wedding Fireworks, Wedding Flowers, Wedding in Costa Rica, Wedding Locations, Wedding Pictures, Wedding Planning, Wedding Reception, Zephyr Palace Wedding and tagged seating cards, Villa Caletas, Wedding Flowers, wedding menu, Wedding Reception, Zephyr Palace by Randy Gritz. Bookmark the permalink.